In no way a humdrum, homogeneous science, throughout history architecture has provided us with numerous works that are an ode to the imagination and to creativity. Whether because of their curves, their impossible structures or their imaginative forms, these works have become iconic structures in the cities where they stand. In today’s post we take you on a tour of the most attractive and picturesque buildings in the world, which are sure to make an impression! Looking as if a giant went on a picnic and left his basket in the middle of a field, this building, as the name suggests, is built in the shape of an over-sized basket. 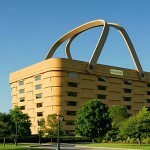 It functions as the corporate headquarters of the Longaberger Basket Company, specialists in the manufacture of this type of basket. The founder of the group was responsible for coming up with the idea for this unique structure modelled on his bestseller. The 59 metre-long, 38 metre-wide building has seven floors and its glass roof offers views of the handles above. 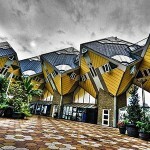 The architect behind this project, Piet Blom, wanted to create a forest of cubes by building houses. And that is exactly what he did. The hexagonal tree trunks support a tree top house in the form of cube. The group of houses is know as the Blaak Forest. Most of these houses are privately owned, but one has been turned into a youth hostel (Stayokay) and a second is open to the public. 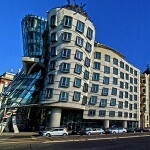 The deconstructivist-style Dancing House is popularly known as the ‘Fred and Ginger’ building in tribute to the Hollywood dance duo. The man responsible for its construction, Frank Ghery, wanted to emulate two dancers on the banks of the Vltava River. It is composed of two interlaced buildings; the first, a glass tower that narrows in the middle, and the second distinctive for its randomly positioned windows and curved shapes. 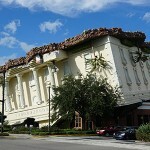 It is an office building, which also houses a French restaurant on its upper floor. Over the years it has become an iconic landmark in the city. 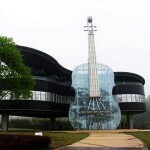 The architectural pride and joy of the Huaianan area, its facade features an enormous glass violin, which hides the interior escalator and is supported by a piano-shaped building. This spectacular building was designed by architectural students from the Hefey Technology University in conjunction with designers from the Huainan Fangkai Decoration Project Co. Its purpose was to provide local university music students with a place to come together and rehearse. 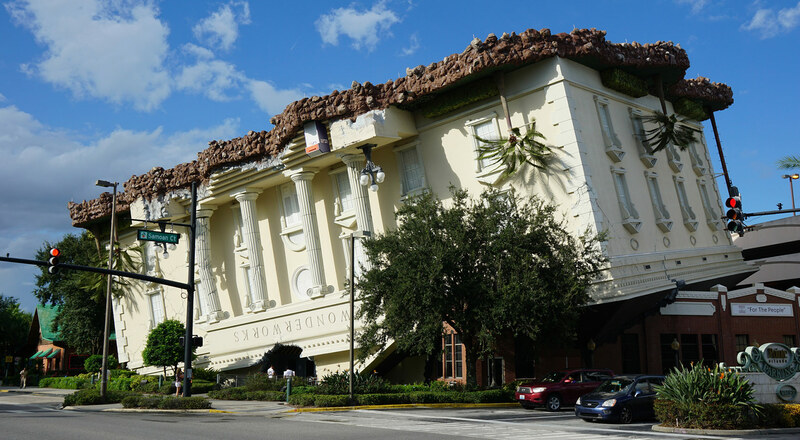 A topsy-turvy world is evoked in a house that stands on its roof, home to exhibitions and attractions that simulate the effects of earthquakes and hurricanes, with climbing walls, laser games, and virtual reality sports, etc. A good time is guaranteed!